In the Garden of Gethsemane, Jesus made a decision that would forever change His destiny and ours. He chose not to abandon us and return to heaven, but to remain and be pierced at the cross, so that He could be with us and serve us forever. 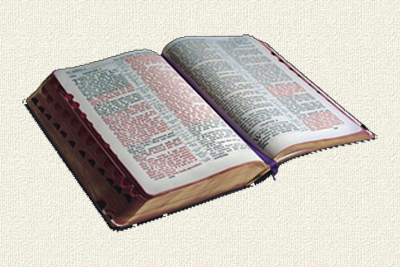 Jesus is fully God (John 1:1–3, 14), but He came to earth as Man. 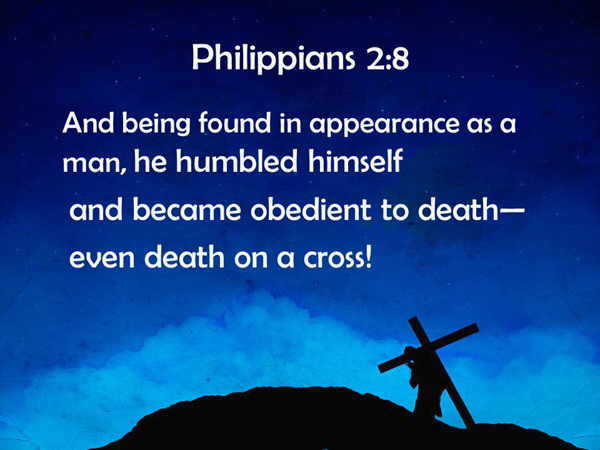 The Bible says that "being found in fashion as a man, He humbled Himself, and became obedient unto death, even the death of the cross". 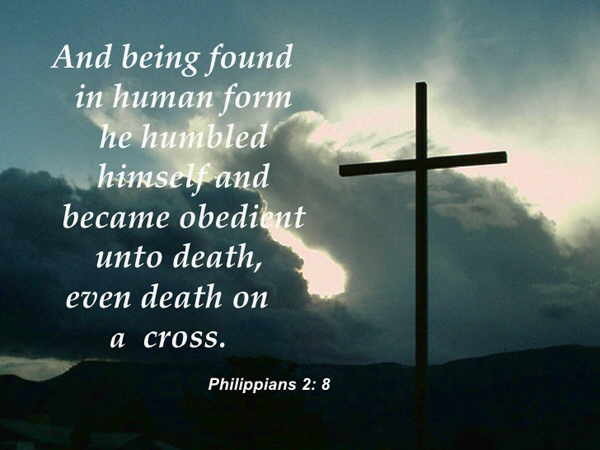 (Philippians 2:8, KJV) He left His divine privileges and powers in heaven, and became Man. This means that, like any other human being, He had sentiments, affections and feelings. We see His suffering when He prayed so desperately in the Garden of Gethsemane, saying, "Father, if it is Your will, take this cup away from Me; nevertheless not My will, but Yours, be done." (Luke 22:42) But there is a spiritual suffering here which we sometimes do not see. There was a spiritual cup offered to Him. And in that cup lay all our sins and curses. All our filth was in that cup. And to drink that cup meant that He would be separated from His Father, whom He loves. Up to that time, Jesus had never been separated from His Father. The reason He could do all kinds of miracles when He walked the earth was that His Father was with Him—"My Father has been working until now, and I have been working…Most assuredly, I say to you, the Son can do nothing of Himself, but what He sees the Father do; for whatever He does, the Son also does in like manner. "(John 5:17, 19) Every time He mentioned the Father, He found strength and comfort. So Jesus was given a choice—to drink the cup of our sins or to go home to heaven. If He rejected the cup, His Father would bring Him home, and the whole world would literally go to hell, because of sin. But Jesus loved us so much that He stayed. He drank the cup of our sins to the very last dregs. He went all the way for us—all the way to the cross. There is a very beautiful picture of what Jesus did for us hidden in the law of the Hebrew servant. After God gave Moses the Ten Commandments in Exodus 20, He gave a law concerning servants. If you buy a Hebrew servant, he shall serve six years; and in the seventh he shall go out free and pay nothing. If he comes in by himself, he shall go out by himself; if he comes in married, then his wife shall go out with him. If his master has given him a wife, and she has borne him sons or daughters, the wife and her children shall be her master's, and he shall go out by himself. But if the servant plainly says, ‘I love my master, my wife, and my children; I will not go out free,' then his master shall bring him to the judges. He shall also bring him to the door, or to the doorpost, and his master shall pierce his ear with an awl; and he shall serve him forever. When a Hebrew servant has served his master for six years, he is free to leave in the seventh year. If he is married with children because his master has given him a wife, he cannot bring his wife and children along when he leaves. His wife and children would belong to the master. That was the law then. But if the servant says, "I do not want to go out free even though it is my right to do so because I love my master, wife and children,"the master will then bring him to the judges of Israel. The master will take a sharp instrument and pierce the servant's earlobe. And this will be done at a doorpost. His blood will be shed and some of it will be left on the doorpost too. From then on, the servant will have a hole in his earlobe and something will be put there to keep the hole open. His pierced ear serves as a sign to others that He is now a slave by choice. He could have gone out free, but he chose to stay because he loves his master, wife and children. And he will be with them forever because "he shall serve him [his master] forever"! Now, do you think that a Hebrew servant would give up his chance to be free after six years of service? Perhaps, but I do not think that a servant would say "I love my master" first, before expressing his love for his wife and children. Obviously, the Holy Spirit had someone in mind when He mentioned this law in Exodus 21. Who do you think this person is? Jesus, of course! Don't the Old Testament laws become beautiful when you see Jesus in them? So at the Garden of Gethsemane, Jesus the perfect Servant did not choose to go out free but stayed on earth because He loved His Father and He loved His bride, the church. And because of that, He was later scourged and pierced by a crown of thorns, nails and a Roman soldier's spear. Today, the only man-made things in heaven are those scars in His hands, side and feet. They will remain forever as a sign of His love for us. And when we see them, we will be reminded of how much He loves us. He did not have to, but He chose to. As a Man, Jesus definitely felt the physical pain of the scourging, thorns and nails. But His greatest suffering as I mentioned, was separation from His Father. At the cross, He cried, "My God, My God, why have You forsaken Me?" (Matthew 27:46) God turned His back on Him. At the time when He needed His Father the most, His Father had to turn His back on Him. Do you know why? Because if God did not turn His back on Jesus, He would have to turn His back on you! Jesus took your place so that you can take His place, where God's face is always smiling on you. Today, we have God's face smiling on us all the time. The countenance of God is shining on you and your family. That is why I can say to you, "The Lord make His face shine on you. "(Numbers 6:25) Jesus paid the price so that God would always smile on you, and never leave you nor forsake you. God turned His back on His Son because He had to punish Him for our sins. He is the judge of the universe. But as Father, I believe He wept. That is why in the movie, The Passion Of The Christ, there is this part where a teardrop falls from heaven—I love that scene! Those of you with children love your children all the time. But sometimes, your child will do something special out of love for you, and it touches your heart so much that you want to just hug him. God felt the same way about His Son when He was on the cross. But He could not embrace His Son even when Jesus cried out to Him. As the Judge of the universe, He had to turn His back and allow His Son to be punished to the full for our sins. Parents, if your child is suffering, even though he brought it upon himself, it makes you want to cry, doesn't it? It makes you want to help your child. How much more if your child is innocent! Jesus was innocent. He knew no sin. He did no sin. And in Him was no sin. (2 Corinthians 5:21) Yet, He suffered and died for our sins because He loved His Father and He loved us. In the scourging scene in the same movie, Jesus stood up again after the first round of scourging. If you watch the scene, you will feel like saying, "Stay down! Stay down! "Because by standing up, He made the Roman soldiers angrier and they changed their whips to those with hooks to inflict more pain. According to historical studies of Roman scourgings, these hooks go right into the victim's flesh, and rip pieces of flesh from the body! And Jesus was probably not scourged 39 times according to the Jewish law of 40 stripes minus one. (Deuteronomy 25:3; 2 Corinthians 11:24) The Roman soldiers who carried out the scourging hated Jews and would not have observed their law. We do not know how many times Jesus was whipped, but it was enough to expose the bones on His back! In Psalm 129:3, it says, "The plowers plowed on my back; they made their furrows long. "In Psalm 22:17, it says, "I can count all My bones. They look and stare at Me." You don't see that in the movie, so actually, the movie is still not that violent. The Bible also says that "by His stripes we are healed". (Isaiah 53:5) Jesus took every one of those painful lashes because He had to pay the full price for our health. By those stripes, your cancer died. By those stripes, your child's asthma died. By those stripes, we are made whole and strong! Some people think that God has mood swings. If He is in a good mood today, He will heal you. If He is in a bad mood, He will not heal you. How can you put your faith in a God of moods? No, God is a God of His Word. He will heal you because His Son has paid the price for your healing. And His Son's work is perfect. Jesus the perfect Servant said, "I love My Master. I love My wife. I will not go out free." That is what He decided in the Garden of Gethsemane. But "I will not go out free" meant that He had to pay the price. And the full price has been paid. So it is a sin to believe that you still have unforgiven sins. If you believe that, you are saying, "Eh, Jesus, You suffered, yes, but it is not enough. I know You cried ‘It is finished,' but in my case, it is not really finished." I love what my wife told me after she saw the movie and all the suffering that Jesus went through. She said, "How can anyone, after watching the show, say that their sins have not been completely forgiven?" The greatest insult to Christ is to believe that your sins are still not forgiven. That is why I am a strong preacher of the truth that your entire lifetime of sins has been paid for because that is what His sufferings have accomplished for us. He took the fullness of the punishment so that you can enjoy the fullness of forgiveness. You are forgiven completely of an entire lifetime of sins! When Jesus chose not to go out free, but to remain and be pierced at the cross, what did it mean? It meant that Jesus, though fully God, chose to remain a Man and our Servant forever! It takes humility for us to allow Jesus to minister to us. We want to minister to the Lord. We want to give to the Lord. We want to do things for the Lord. We want to build great things for the Lord. We want to be contributors to the Lord. But we can give nothing because we are all bankrupt spiritually. What can we give, except that which we have received from Him? So the greatest thing you can do is to receive from Him. In the movie, when Jesus turned His face to look at the thief, I saw something. In the midst of all His suffering, somebody brought refreshment to His heart. Somebody still asked something of Him. And He was so pleased that He said, "Assuredly, I say to you, today you will be with Me in Paradise." (Luke 23:43) That dying thief refreshed Jesus' heart when he put himself under the fountain of His blood. Beloved, what "strengthens"our Savior? What "refreshes" Him, if I may use such language? It is when He is able to give to a sinner, when He can find someone who is willing to receive from Him. That refreshes Him because He loves to serve. It is the nature of His heart of love to serve. And we are the objects of His love. He remains a Servant forever by choice. Yes, He is all glorious. But even though He has been gloriously resurrected, He is a resurrected Man with affections and feelings like you and I, and that is why He knows how you feel, and wants to serve you. So if you are sick, come to Him and say, "Lord, I need Your service." That is what refreshes His heart today. I do not know if there were any Hebrew servants who chose not to go out free in Bible times. But let's suppose that there was one. Now, imagine that after he and his wife have fallen asleep, his wife wakes up in the middle of the night. She looks at her husband and remembers that years ago, he could have gone out free, leaving her and their children behind, but he chose not to. And as he is sleeping there beside her, she sees his pierced ear--a symbol of his love for her forever. Beloved, in heaven one day, we will see Jesus' wounds. And we will remember that He did not have to remain and be pierced for our sins, but He chose to, because He loves us!